As we begin November we are reminded of the value of being part of Episcopal schools. Recent events in our world thrust us into conversation with students and our school communities. While those conversations are not simple, it is fortunate that we have the vocabulary as Episcopal schools to discuss our response to hate and the permission to do so in our schools. October was a busy month for MAESA including two Episcopal Schools Day Services and the MAESA Early Childhood Educators Conference. St. Stephen's & St. Agnes School hosted the Early Childhood Educators Conference and brought all of their faculty JK-3rd grades, including specials teachers, making this one of the best attended conferences in memory. Along with twenty-three other schools more than 180 conference attendees were able to choose from fifteen workshops lead by MAESA member teachers. They were also inspired by our keynote speaker Ms. Jacky Howell as she took them along as "partners on the path of childhood". The school's beautiful facilities and hospitality ensured it was a rewarding day! "Why I Teach in an Episcopal School " In our November edition we hear from The Rev. Dr. Dorothy White, Chaplain at St. Catherine's School in Richmond and a member of the MAESA Board of Governors. Reverend White reflects on her journey as a religion teacher and chaplain, a vocation she has embraced. Next, in "Spread The Word", Tom Stevens, Head of School at St. John's Episcopal School, Olney, MD shares how the process of preparing for school accreditation offered them an opportunity to refocus their mission. We'd love to feature one of your faculty members or a school activity in MAESA Matters. Contact us to be included. 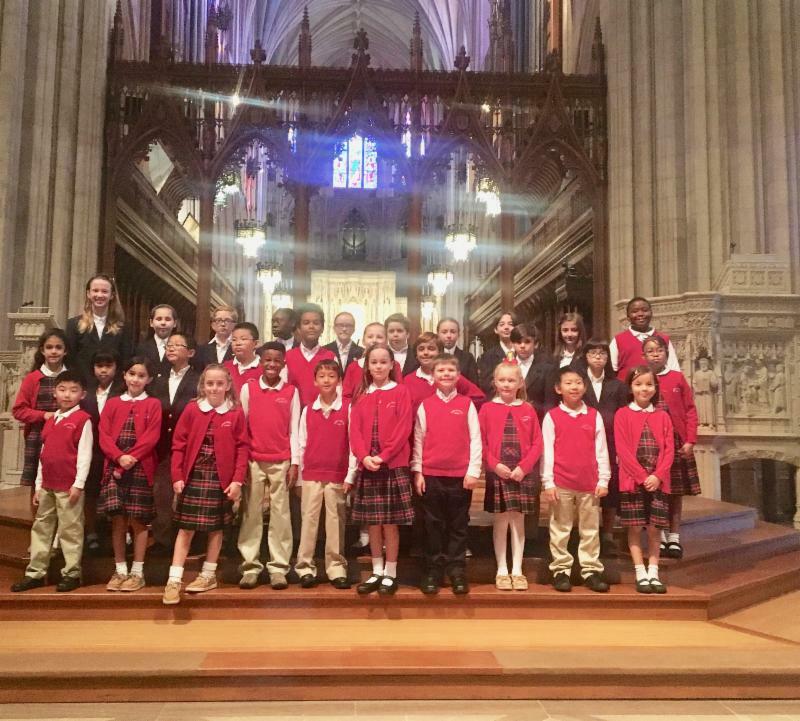 MAESA Choral Evensong February 10, 2019 at Washington National Cathedral hosted with St. Albans School and National Cathedral School. MAESA welcomes member schools' upper school choruses to section rehearsals at St. Alban's School and to sing Evensong with the Cathedral Choir. Last year we had close to 400 voices. Please contact us if you haven't been a part of this special service in the past, or are looking for more information for your school or choir director. MAESA Scholars Fair April 26, 2019 at National Cathedral School for Girls. Please share this date with you faculty and students grades 4th-8th in preparation for attending our annual Scholars Fair in April. We will return to NCS and are grateful to them for the second year as host. MAESA will be looking for a host school in 2020 & 2021. Let us know if your school would like to host this springtime MAESA event in the future. 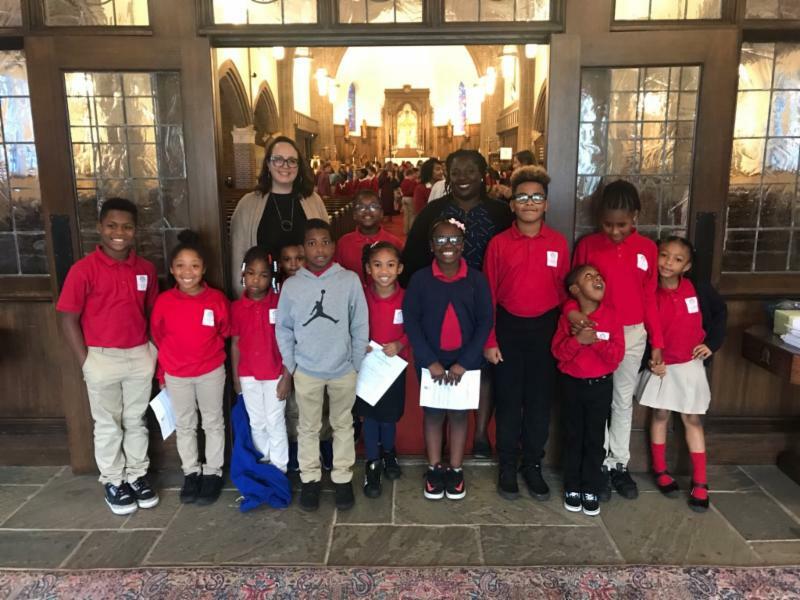 ﻿Richmond Episcopal Schools Day Service took place on Oct. 17th at All Saints Episcopal Church in Richmond. MAESA thanks All Saints Rector, The Rev. Dr. Brent Melton, for welcoming us and St. Catherine's School Head of School, Dr. Terrie Scheckelhoff , for acting as our host this year. 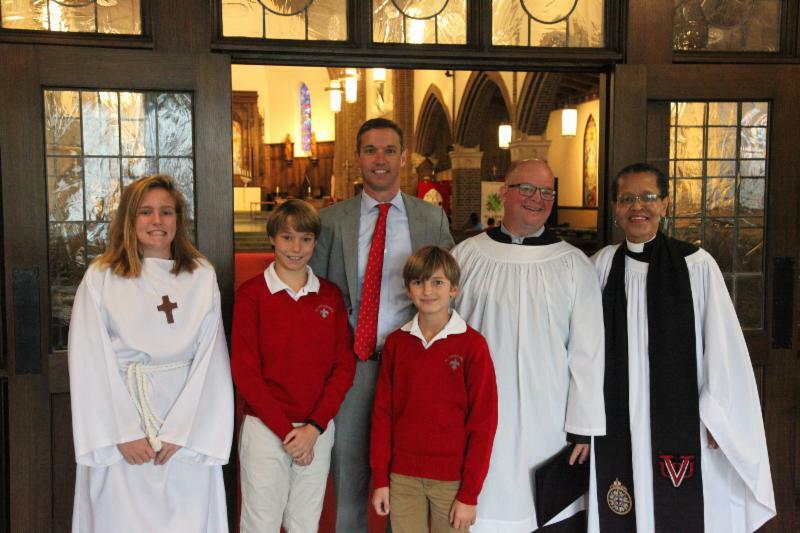 At our inaugural service MAESA welcomed St. Andrew's Episcopal School students and faculty (pictured), St. Christopher's School & St. Catherine's School with their acolytes, chaplains and St. Christopher's Head of School Mason Lecky, (pictured). Trinity Episcopal School's entire 8th grade attended our service also! Students lead readings and musical offerings were made by Trinity's 8-12th grade choir and strings and St. Catherine's School's 7-8th grade Grace Notes choir. Greater Washington Area Episcopal Schools Day Service took place on Octo ber 10th hosted by Beauvoir The National Cathedral Elementary School held at Washington National Cathedral. MAESA thanks Cindi Gibbs-Wilborn, Beauvoir Head of School, for acting as our host this year. More than 850 students, faculty and parents from fifteen MAESA schools joined in worship. 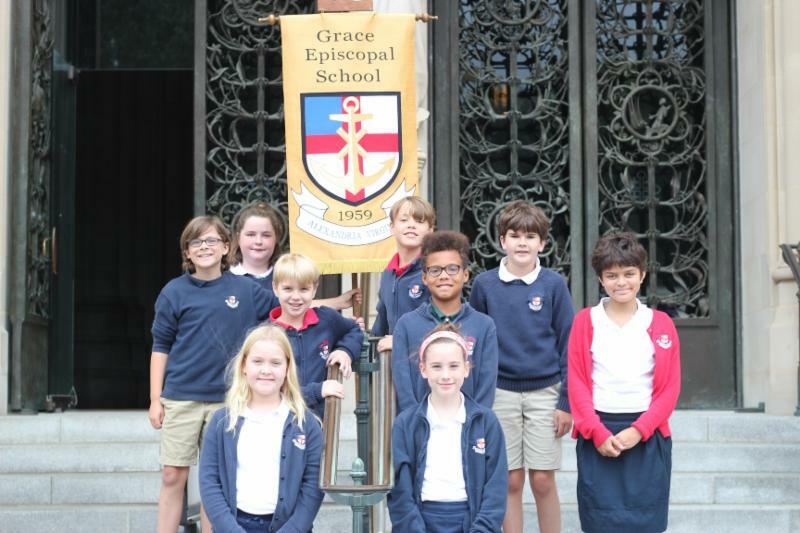 Students from Grace Episcopal School in Alexandria (pictured) attended and musical offerings were made by Christ Episcopal School in Rockville (pictured) and St. John's Episcopal School in Olney, MD. Both services mirrored the theme of the NAES biennial conference later this month, Learn to Do Right, Seek Justice, Defend the Oppressed. Preachers, The Rev. Dr. Dorothy White in Richmond and Lisa Kimball, Ph. D. in Washington, inspired the assembled students to strive for these principles in their young lives. Initially classes with middle school students were the order of the day. With no children of my own the realization that concrete thinkers do not quickly grasp hypothetical theories came crashing in on my well-manicured lesson plans. The journey was unfolding. My journey landed me on the metaphorical potter’s wheel. My visit would be long and life changing. God was directing this life in ways and a manner that would allow the teacher to be the one being taught. There are a multiplicity of experiences and encounters for which I am deeply grateful. Becoming a school chaplain as well as a teacher of religion continues to be a priceless gift. Being a part of a community striving toward inclusion, coupled with the responsibility for worship is the calling for which I was made. Why do I teach in an Episcopal school? Because I have been called to do so. as they were at the school’s founding in 1961. We used to say that the academics “are a given,” but with such a clear focus on wanting our students to have an “inquiring and discerning heart” it became clear that the academic was too important not to be part of our root statement about ourselves. Our commitment to a challenging curriculum with teachers who differentiate to reach each student are vital in our mission. With the call to look again at all we do through the lens of our mission, it might have remained unstated. Our “Traits for Success” include those characteristics that will, we believe, bring our students success but are part of our Episcopal essence, as “the courage to will and to persevere”rank high on that list and are part of becoming a St. John’s student. Our nine Traits for Success, Organization, Attentiveness, Courage, Faith, Persistence, Positive Attitude, Flexibility, Generosity and Responsibility are woven throughout our curriculum and co-curriculum, in daily announcements and month assemblies. This refocus on sound character during the writing of the self-evaluation did not really change who we are or even what we do, but simply the greater awareness that is created in the process builds and strengthens what we do. One way we changed in the process is the expansion of an arts program, OASIS (the Olney Arts School in a School), where our students take extra lessons in the performing arts (from voice and instruments to theater and dance) and have now opened it up to the larger community. We find ways to help our students find themselves and opportunities to shine. No, I am not suggesting that all of this would not have existed or was not a focus before working on our accreditation self-evaluation, but it helps bring us to a self-awareness, a change in perspective, a required dive into the both the nitty-gritty and the highest levels that has strengthened the Episcopal identity of St. John’s.